GASTONIA – The Gastonia Fire Department responded to this house fire on Hanks Circle in Gastonia on Thursday night around 10:30 pm. 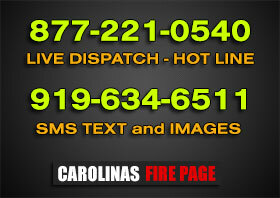 Upon arrival, Gastonia Firefighters found a small fire burning outside of the home. As they investigated further, they found additional fire inside and underneath the trailer. It took 20 firefighters about 15 minutes to extinguish the fire. There was no one home at the time of the fire. The fire began in the area of the woodstove and burned through the floor of the home. There is an estimated $15-20,000 in damages to the home and contents. The Red Cross assisted in relocating the family. Submitted by Jim Landis, Gastonia Fire Department.